Liquid Farm was founded in 2009 with the goal of producing food friendly, balanced Chardonnays from California’s Central coast. Owner, Jeff Nelson, and winemaker, James Sparks, have established a unique approach to their Chardonnay program: blending from multiple vineyards to maintain a level of complexity and a continuity of style from one vintage to the next. Wines are produced with minimal intervention, for Liquid Farm the winemaking is all done via the blending process. Native yeast fermentations, minimal sulfur additions, gentle filtering, and no animal products are used in the winery. Jeff Nelson, a wine-industry veteran of over 20 years, founded Liquid Farm in 2009. After working for some of the top Champagne and Burgundy houses he was ready to start his own project, which would showcase the stylistic diversity of Chardonnay grown on California's Central Coast (specifically the Sta. Rita Hills Appellation). Over the last decade, Liquid Farm has expanded its offerings to include a dry Rosé and Pinot Noir and 2 Chardonnays from the neighboring Santa Maria Valley AVA. 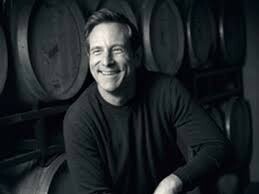 With his extensive knowledge of Champagne and Burgundy, Jeff has created some of the most sought after Californian Chardonnays and has received acclaim from customers and wine writers alike. Super cool with a touch of California sun!